Some folks in Gilbert, Arizona, wanted to use signs to advertise upcoming events and posted these signs on private property. The town had rules limiting the size of event signs and the times they could be posted. These signs were up too long, so the town’s sign police busted the sign folks. The citizens became indignant and took the town to court. 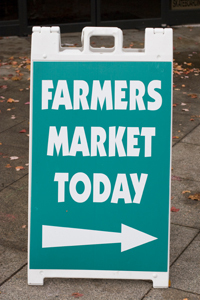 The case was appealed all the way to the United States Supreme Court, who held that the town’s rules violated the First Amendment to the United States Constitution because the town had stricter rules for event signs than for other signs. The court reasoned that the sign police had to read the sign to know it was an event sign, so the rules were “content” based — that is, the rules were based on what the signs said. Although the town never intended to discriminate against a viewpoint and merely regulated the signs, these rules were unconstitutional. Some other folks in Texas wanted to use license plates to advertise their group and put these plates on their private vehicles. The state had rules requiring special license plates to be approved by a state board. The license plate police decided it didn’t like the message portrayed on the plates, so it did not approve them. The citizens became indignant and took the state to court. The case was appealed all the way to the United States Supreme Court, who held that these rules didn’t violate the First Amendment. The Court reasoned that it was okay for the license plate police to discriminate based on a viewpoint because they intended to control the content — that is, the license plate police made decisions based on what the plates said. How do we harmonize these two decisions? They were handed down by the same court in the same session. In the Gilbert case, the Court explained that a government “has no power to restrict expression because of its message, its ideas, its subject matter, or its content.” In the Texas case, the court explained that Texas may discriminate based on viewpoint because “Texas maintains direct control over the messages conveyed on its specialty plates.” Isn’t this a contradiction? In a part of the opinion that consoles Gilbert for losing the case, the Court explains that “on public property, the Town may go a long way towards entirely forbidding the posting of signs, so long as it does so in an evenhanded, content-neutral manner.” But if Gilbert can’t even control content on public property, why can Texas control content on license plates affixed to private vehicles? The difference between these polar-opposite decisions is the notion that license plates are government speech and that the government may enter the public forum and advocate for its ideals. In which case, the Court held it shouldn’t be hampered by not being able to take sides. The dissent pointed out it seemed a little strange to argue that the State of Texas had decided that RE/MAX was their realtor of choice or that it’s better to be golfing than working or even playing football. Speaking of football, it may be well-nigh treason in the Lone Star State to endorse the University of Oklahoma given its deep rivalry with the University of Texas. To the dissent, special license plates display the speech of the car owners who choose them, not of Texas. 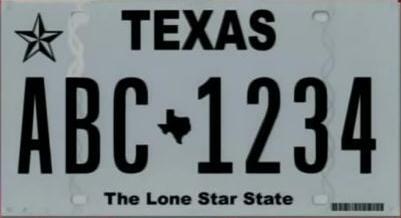 The majority, however, believed that the messages on license plates are different than other speech, because putting a message on a license plate implies that the state endorses it: “[A] person who displays a message on a Texas license plate likely intends to convey to the public that the state endorsed the message. If not, the individual could simply display the message in question in larger letters on a bumper sticker right next to the plate.” Although the speech itself originates from citizens, putting it on a license plate implies that the government endorses it. It’s not often that the Supreme Court decides cases based on factual distinctions. And given that they don’t find facts, it’s even rarer that the Court would overturn two lower decisions based on the facts. But I don’t see how else you can understand this decision. The facts of this case are in a grey area; special license plates may be reasonably seen both as private speech and government speech. So a line had to be drawn, and the Court drew it just this side of license plates because license plates are issued by the government. And people may think the government is endorsing the message on the plate.